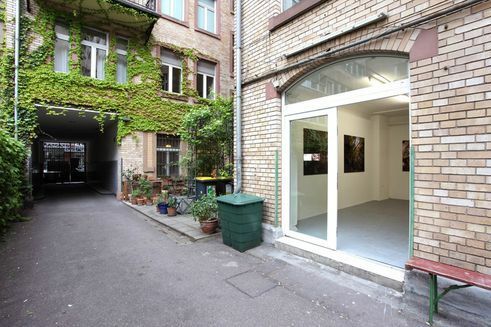 The association Basis was founded to create inexpensive studio space for young artists.The Frankfurt project has long become more than a place for the production of contemporary art. In its exhibition room it shows shooting stars. Several exchange programmes generate international networks. Kebab shops, brothels and, in-between, hip bars: the Frankfurt Bahnhofsviertel (train station quarter) is a place where worlds collide. An inconspicuous metal door leads into an idyllic back courtyard and via the staircase to the second floor. Here Jan Buchczik has his studio. The illustrator is still studying at the Academy of Art and Design in Frankfurt’s neighbouring city of Offenbach; he wants to graduate in autumn. But he is already enjoying immense success: his illustrations, drawn on the computer, appear in the ZEIT and the magazine of the Süddeutsche Zeitung, and the British Guardian and the New York Times have already booked the artist. found here a funded work place. What he pays for his studio, which he shares with another creative, is far below the comparable rent in the Frankfurt Bahnhofsviertel, especially since the red-light district has turned into a hip neighbourhood. 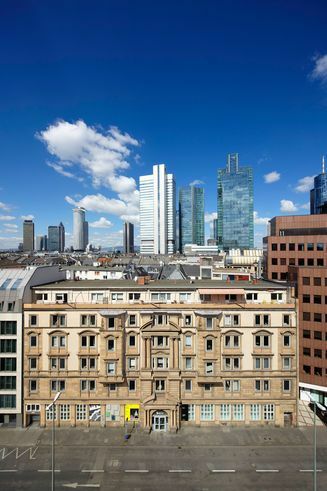 Basis arose from a lack: in Frankfurt, one of Germany’s most expensive cities, there had long been a short supply of affordable studio space. This was a big problem for the city as an art location. Many young and talented artists came to Frankfurt to study at the renowned Art Academy Städel School, but, as soon as their education was completed, most moved to where life is less expensive. A number of initiatives have been launched to counter this development. Artists and creatives have joined together to create shared studio spaces, now temporarily in vacant places, now in long-term projects. The association Basis has existed since 2006. The project is sponsored by the city of Frankfurt. 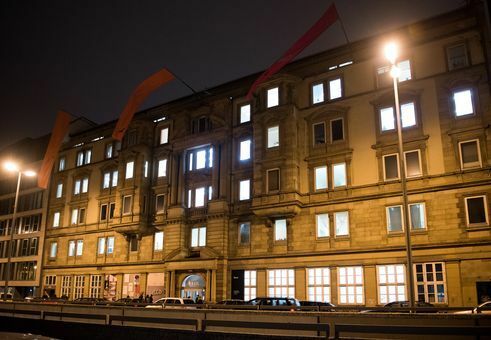 In 2016 the federal state of Hesse bought the main building of the association, in which most of the studios and exhibition spaces are located, to guarantee the continued existence of the initiative. Basis wants to support creatives who are going into professions and are about to enter upon careers. They can use the inexpensive studio spaces for up to six years. The success of the project is perceptible, thinks the Artistic Director of Basis, Felix Ruhöfer: “We see that year for year more and more artists are deciding to stay in Frankfurt”. 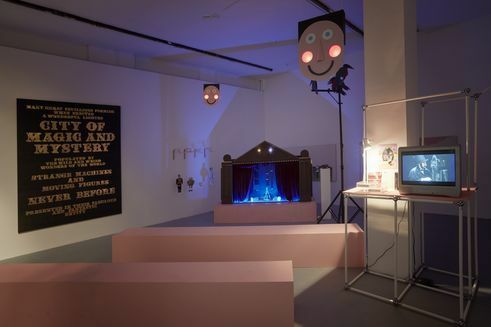 But Basis is much more than its three studio houses. It is not just about keeping artists in the city, but also about networking them internationally. This is why the project is shaped by two further priorities: an ambitious exhibition space and an exchange programme for young creatives. The exhibitions at Basis are generally devoted to artists who are currently building up an international career. Not a few artists whose names are today on everybody’s lips had their first solo exhibitions in the German-speaking world at Basis. The photographers Tobias Zielony and Sven Johne and the artists Michaela Meise and Keren Cytter were shown at Basis before they were discovered by the big museums. This encounter with young, internationally successful contemporary art is important, says Felix Ruhöfer: “We don’t want to be a hermetic studio house, but we also don’t want to be a pure art society”. The mixture is the thing. Over the years the exchange programmes have become more and more important. Artists are invited to Frankfurt for three months. The creatives come to Basis from Strasbourg, Helsinki, Antwerp, Seoul, Kuala Lumpur and the French region Nouvelle-Aquitaine. 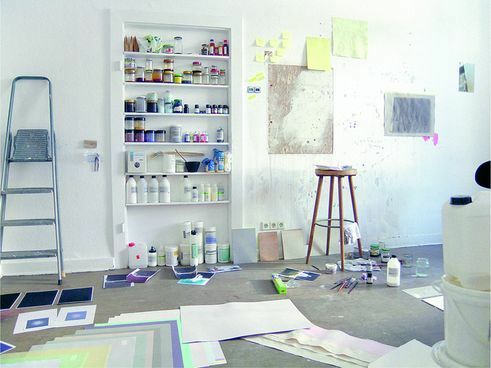 They live in a flat in the studio house and realize their own exhibitions in Frankfurt. In return, the partner cities make studios available to Basis artists. “It’s important that young artists also get to know other networks”, says Ruhöfer. That Basis has fructified the Frankfurt cultural scene may be seen in how the artists it has sponsored do on the art market. Anne Imhof, who was awarded the Golden Lion at the Venice Biennale in May 2017, had a studio here for a long time. Sandra Kranich, an artist who experiments with fireworks, recently exhibited at the São Paulo Biennale and the artist duo Özlem Günyol and Mustafa Kunt just received the 2017 HAP Grieshaber Prize. The Frankfurt Basis can tell many a success story. Alexander Jürgs is an independent author from Frankfurt. He write for „Die Welt“, „Merian“ and „Der Freitag“. Copyright: Text: Goethe-Institut, Alexander Jürgs. This work is licensed under a Creative Commons Attribution – Share Alike 3.0 Germany license.